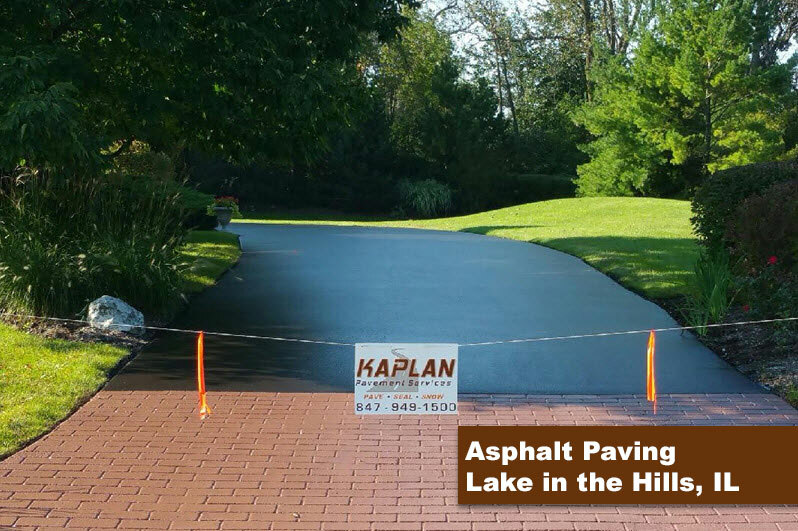 Established in 1979, Kaplan Paving is leader in commercial and residential asphalt paving services in Lake in the Hills IL. We serve municipalities, schools, villages, country clubs, residential, commercial, and other clients in the Lake in the Hills and greater Chicago area. We offer a range of services including driveway paving, crack filling, asphalt repairs, decorative asphalt paving, sealcoating, driveway replacement, parking lot pavers, line striping, and more. We provide durable, attractive asphalt paving solutions for Residential and Commercial customers in Lake in the Hills IL. Kaplan Paving sets the standard for exceptional service and precision paving. Combining professionalism and experience to deliver customized, durable paving products that last for a lifetime. We meet all your asphalt paving & driveway paving project requirements on time, on budget and with the quality you’ve come to expect from the best. We can diagnose all of your needs and implement a plan to keep your asphalt pavers in top-shape year round. Our comprehensive array of asphalt paving repairs, asphalt paving maintenance, asphalt paving replacement and speciality services is UNMATCHED. We serve both commercial and residential clients and always strive to have the highest quality and service available of any paving company in the Lake in the Hills IL area. Contact us today for a free estimate on asphalt paving, sealcoating, or snow plowing for quick reliable service.